The Cinaport team possesses deep operational and financial know-how with an extensive network of private and public relationships across North America and China. Over the years, we have worked with numerous Chinese clients seeking to either, raise capital, invest in or do business in North America. Donald Wright is the Chairman of Cinaport Capital Inc. His career in the investment industry has spanned over 39 years, including holding senior positions with domestic and global firms working both in Canada and internationally. 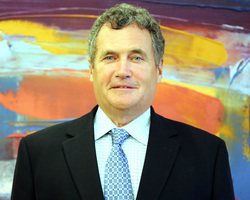 After starting his career in the investment industry with Wood Gundy Ltd. in 1973, he held progressively senior roles with Warburg, Paribas, Becker in New York, Merrill Lynch, and Burns Fry Ltd. before joined TD Bank in its securities group to run fixed income and money markets in 1995. Over the next eight years, Mr. Wright held many positions within TD Bank and TD Securities culminating with Chairman and CEO of TD Securities and Deputy Chairman of TD Bank Financial Group. Mr. Wright’s responsibilities included determining the strategic direction of the firm as well as the day-to-day management of the global wholesale investment dealer operations of TD Bank Financial Group. These included: Corporate and Investment Banking, Private Equity, Institutional Equities, Debt Capital Markets and Foreign Exchange. In addition, as Deputy Chair of the Bank, Mr. Wright had responsibilities for TD Waterhouse’s U.S. and International operations. Since retiring from the Bank in 2002, he has been involved in private and public equity investments. Industries invested in are broad but include largely oil and gas, healthcare, resources and technology. He is currently President and CEO of The Winnington Capital Group Inc., where he is involved in many companies around the world, ranging from oil and gas in Kazakhstan, to drilling rigs in South America and Africa, a cancer center in Shanghai, to daycare centers across Canada. These investments, as well as board positions gives him a unique view of what is happening economically around the world. Mr. Wright has investments in China as well as investments in Canada and the U.S. that are using Chinese suppliers in the energy and mobile phone space. He also serves as a Director of the Bank of China (Canada). Mr. Wright has also had the opportunity to work as the Chairman of VIA Rail Canada, a 100% Canadian government owned company. This portion was an appointment made by the current government. He was able to work closely with the Ministers of Transportation and Finance to generate renewal funding of close to $1 billion for VIA Rail Canada. Mr. Wright actively supports several charitable organizations and is a member of the campaign cabinet of the Centre for Addiction and Mental Health Foundation, and a Director of MARS Innovation Inc.
A partner in Cinaport Capital Inc. since 2009, John O’Sullivan has been actively involved in the investment management industry in Canada for over 33 years. During this time, Mr. O’Sullivan has been registered as a dealing representative (or the equivalent) with the Ontario Securities Commission and the securities regulatory authorities in each of the provinces and territories of Canada. 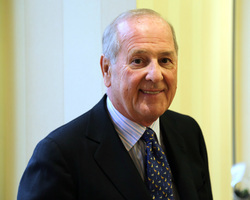 Mr. O’Sullivan was with Gordon Capital Corporation (“Gordon”) from 1981 to 1992 at which time he was Managing Director, Vice- President, Partner, and Head of Trading. Mr. O’Sullivan was mainly responsible for Gordon’s liability trading. From January 1993 to September 1995, Mr. O’Sullivan was employed as Vice President and Director, Co-Head of Trading at BMO Nesbitt Thompson Inc. (now BMO Nesbitt Burns Inc.). Mr. O’Sullivan’s main responsibility was liability trading. From November 2000 to May 2008, Mr. O’Sullivan was a Managing Director and Head of Proprietary Trading at TD Securities Inc. As Head of Proprietary Trading, Mr. O’Sullivan personally managed the proprietary trading group’s risk arbitrage portfolio, the long/short market neutral portfolio and the small cap/special situations portfolio. Mr. O’Sullivan also supervised the activities of four portfolio managers and a team of analysts. 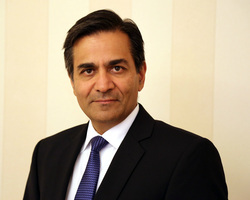 Avi Grewal’s career consists of multiple executive leadership roles including that of CEO and CFO. Mr. Grewal is President and Chief Executive Officer of Cinaport Capital Inc. and its parent company, Cinaport, Inc.
From 2005 to 2009, Mr. Grewal was President and Chief Executive Officer of Fralex Therapeutics Inc. and was also a member of its Board of Directors. He led the company from start-up and its first private round of financing to an initial public offering and listing on the Toronto Stock Exchange. After a negative result from pivotal clinical trial, he negotiated an efficient sale of the company’s assets and arranged a return of the remaining capital to the company’s shareholders. He has prior experience in medical technology start-ups as co-founder and Chief Financial Officer of Novadaq Technologies Inc. from April 2000 to February 2004. During this period, he was also responsible for business development activities such as negotiating with corporate partners and in licensing technology. Mr. Grewal was a director from 2001 to 2003. Earlier in his career, Mr. Grewal was successively employed by a national chartered accounting firm and a major computer distributor, and operated his own manufacturing and merchandizing business. Mr. Grewal holds a Bachelor’s degree in Economics from York University, Toronto. Eason Yan brings a blend of international capital markets and financial analysis experience to his role as vice president of business development for Cinaport Capital Inc. Having joined Cinaport in April 2012 as a financial analyst, he quickly demonstrated his value to the firm, using his strong network in the China and Chinese Canadian business communities to generate a number of mandates for Cinaport and helping Chinese companies deploy significant amounts of capital in Canada. Eason was instrumental in helping New Era Minerals Inc. (TSX-V: NEM) obtain their public listing in 2014, having worked with the company throughout the entire process. Prior to joining Cinaport, from 2011 to 2012, Eason was the assistant to the chief executive officer of Sunshine Agri-tech Inc. (TSX-V: SAI), which manufactures, processes, packages and distributes livestock bio-feed products. Eason represented the China-based company in Canada, maintaining relationships with the Toronto Stock Exchange and the capital markets community. In addition to planning and executing investor road shows, he promoted the company’s snow melting agent in Canada and was involved in the company’s process of obtaining a public market listing on the Toronto Venture Exchange. Eason started his career as an assistant to the chief executive officer of Haichang Holdings Ltd. (02255.HK). His responsibilities included liaising with investors and attending investor road shows in Singapore, Hong Kong and mainland China. Eason is currently pursuing a Masters of Business Administration from the University of Toronto.